DiS-favourites ERRORS return with a fangasmic 4th album, which you can stream in all its glory right here. With their 4th album the Scottish electro-ish trio have done it again. If you thought Have Some Faith in Magic was just some DFA fanboys rollicking around with their synths, then maybe this follow-up is not for you (and you're clearly a bit wrong in the head, pal). If that sounds like idea of a discoball-packaged praline liquer then step right up. 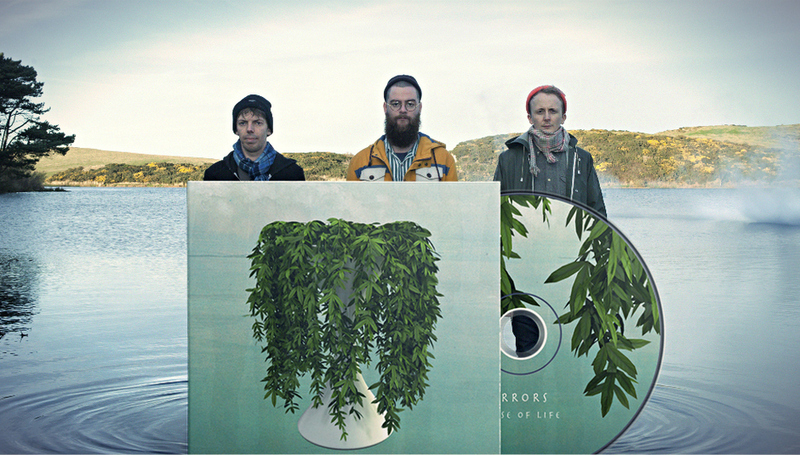 Lease of Life is the follow up to Errors’ critically acclaimed 2012 album Have Some Faith In Magic. Formulated on the Hebridean Isle Of Jura - the location where George Orwell wrote Nineteen Eighty-Four and the place where The KLF are rumoured to have burned a million pounds - it’s a bold work borne by the confidence and ambition of a band with a desire to combine the exploration of fresh soundworlds combined with their most accessible, immediate songwriting yet. Lease of Life is also the band’s most cohesive album statement to date: a start-to-finish experience that’s bound by recurring constituents and accomplished craft. The album is out on Monday, and you can find pre-order links via the Rock Action records (yes that's Mogwai's label) website.